In a cocktail shaker, stir in ice, gin, limejuice and simple syrup. Shake until all ingredients are mixed well. 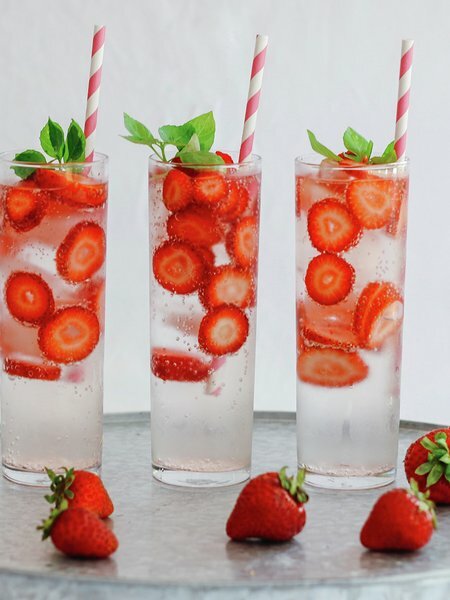 Strain into an ice-filled glass; add strawberries and sparkling beverage of choice. Garnish with fresh basil and/or lime.